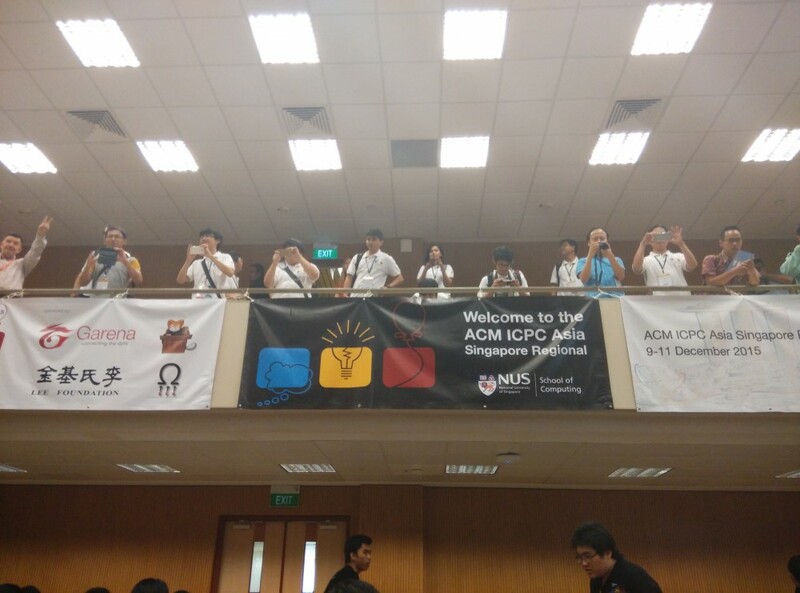 So, last week, me together with IIUM ICPC Regional Team went to Singapore to participate in the ACM ICPC Singapore Regional competition. 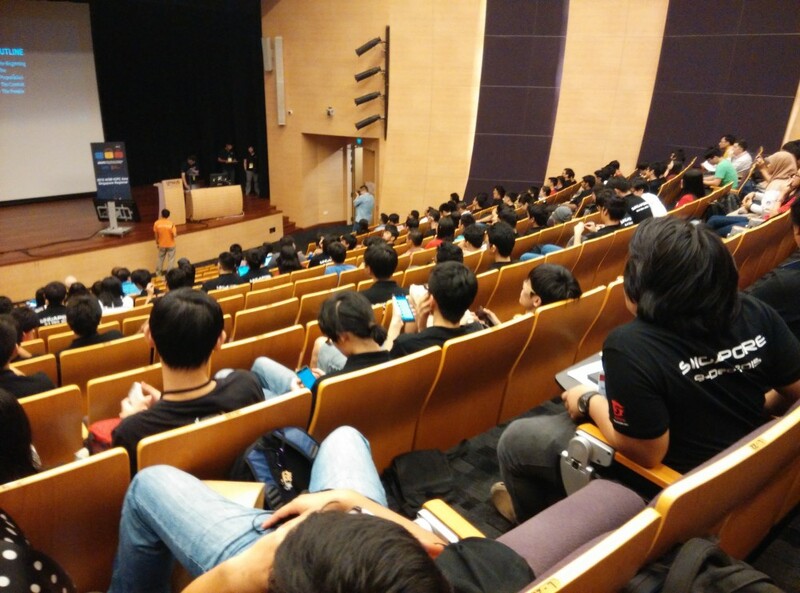 In light of that, we were thinking of making a blog post as a documentation for the event. The strategy for making the blog post is that, each member will author their own point of view and we’ll combine them later. So this is my point of view. By the way, mine is more like a series of pictures rather than a long article. So expect some loading times. 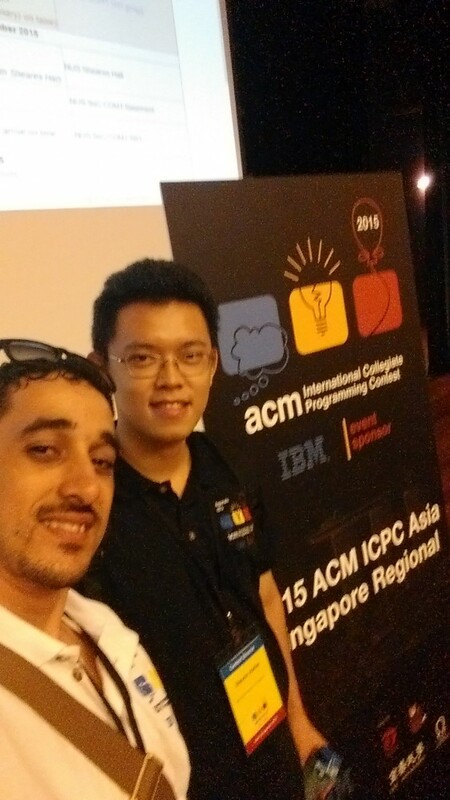 First of all, if you guys don’t know what is ACM ICPC, please refer to this page. And no, we did not win it, obviously. We obtained 48th place out of 57 and answered 2 out of 11 questions. I kinda expect it, but I can still feel the “impact” 🙁 . Anyway, this regional is a bit special because it has a qualification round two months ago. In the qualification round, three team entered from IIUM and only one qualify, which is my team. Our position in the qualification round is 53 out of 177. 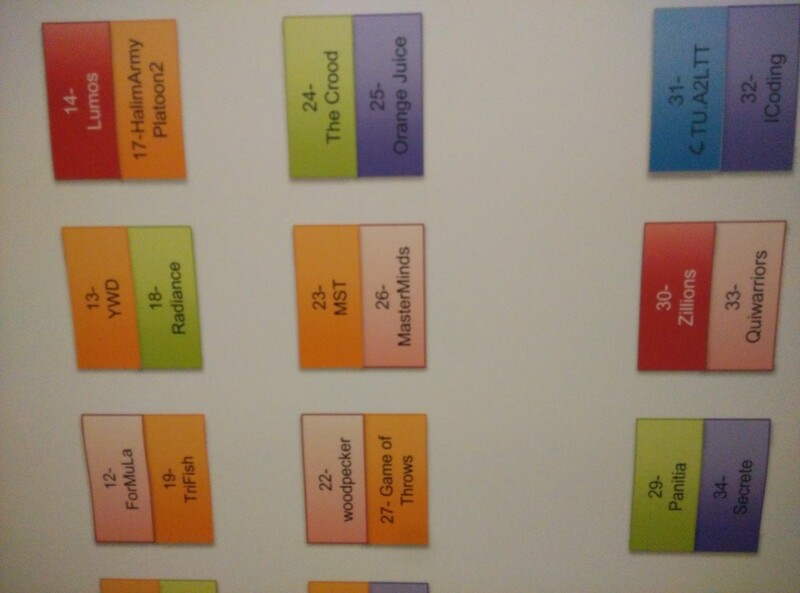 Our team name is “MasterMind”, you can see our ranking here. Not all qualified team entered though and some additional team were invited. The story began on Wednesday 9 December, the day of the opening ceremony. 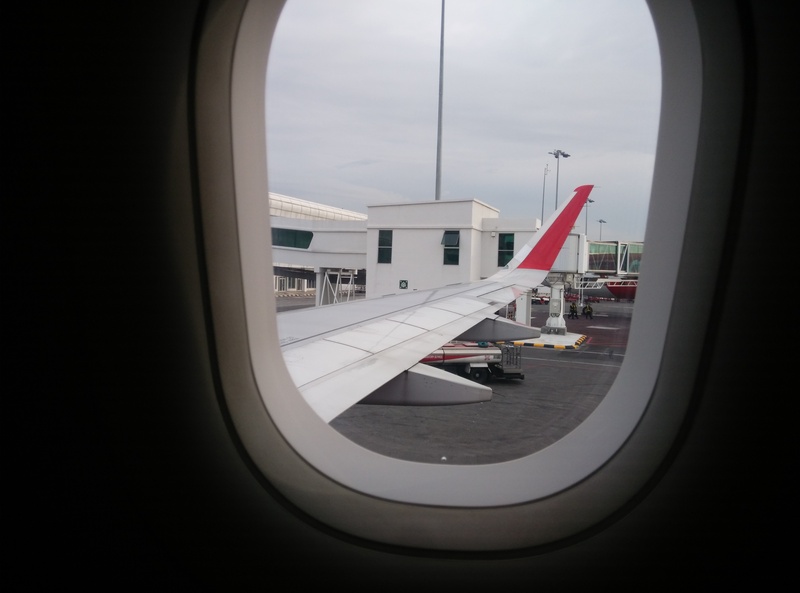 We woke up early around 4 AM and rent a taxi to KLIA 2 airport. From there we took a flight to Singapore at 8.30 AM. The party consist of 5 people, me, Zarir, Ayesha, Amjad and Dr Hamwira. 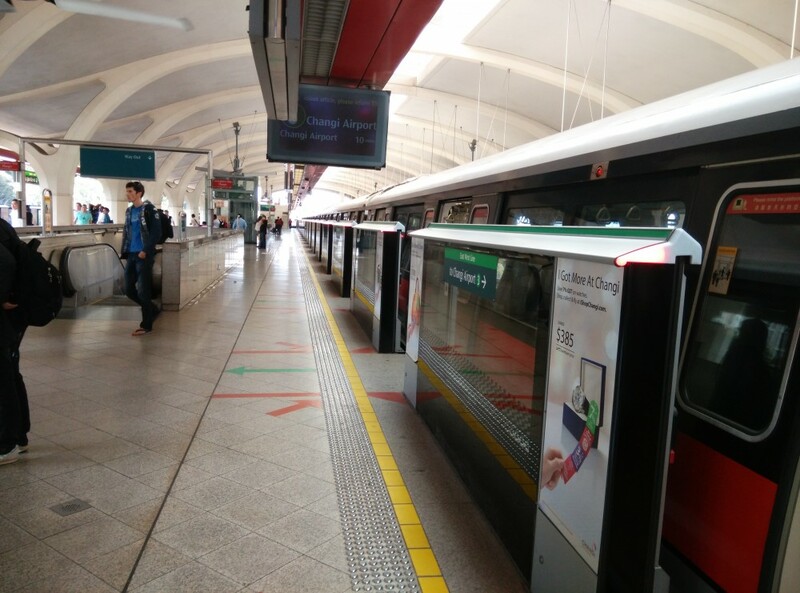 The MRT train is quite long. 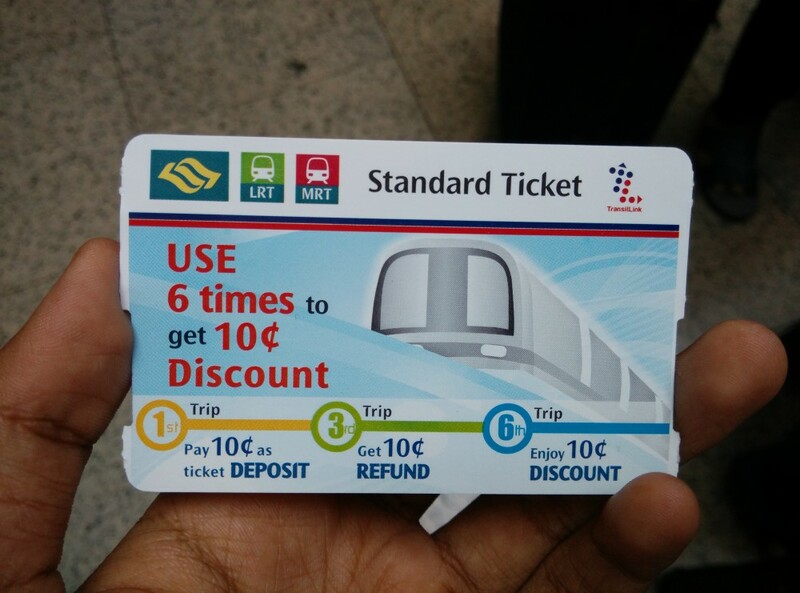 This is the ticket for MRT. Its works like a disposable token in Malaysia where you touch the interface like a Touch’n’Go card. But can be reused for up to 6 trip for discount. 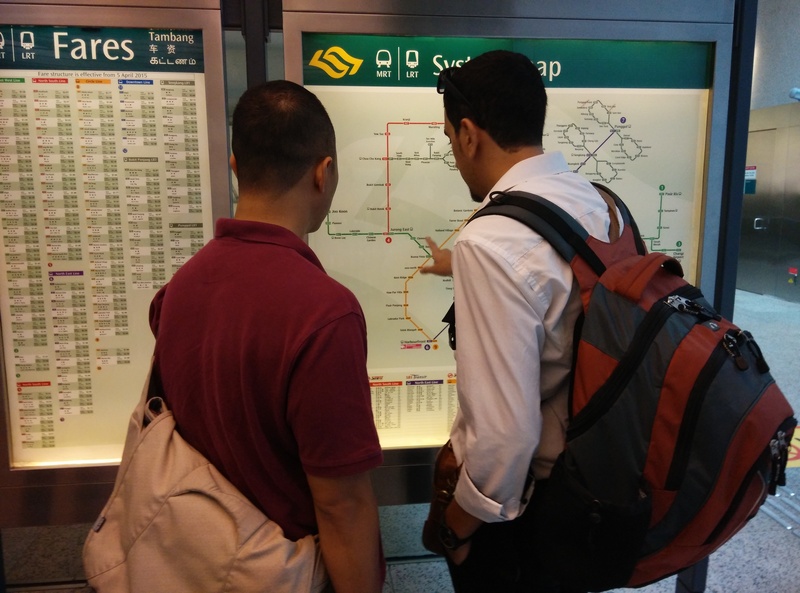 From the airport, we uses Singapore’s public transportation system to go to Stephen Riady Centre in UTown, National University Singapore (NUS). After some (quite a lot) walking, (we don’t actually stop at Stephen Riady Centre) finally we found the place where the contestant gather. 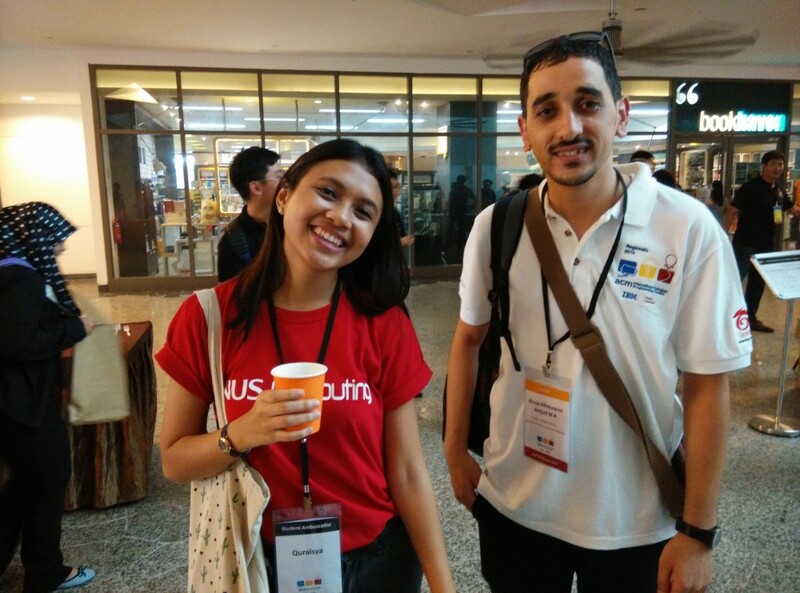 We registered and meet with our student ambassador named Quraisya who helped us a lot through our visit. 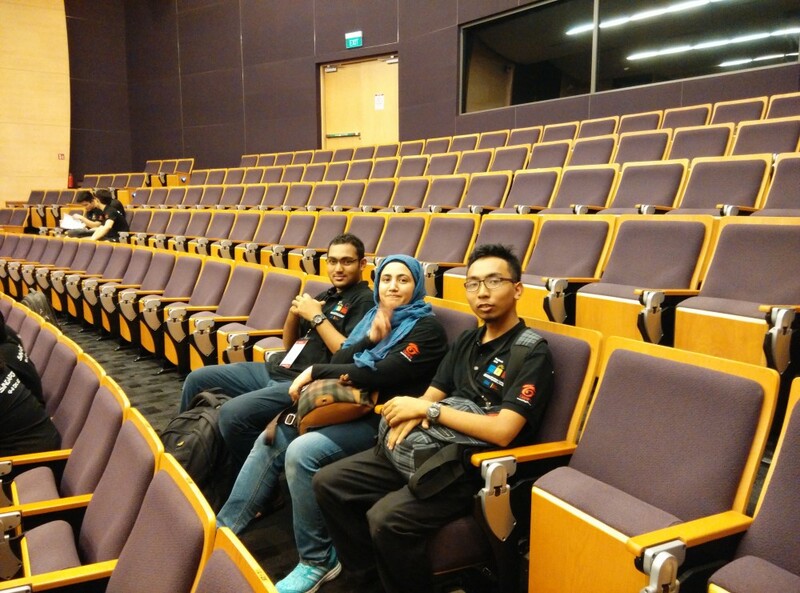 After we had some dinner, we went to the auditorium for some briefing. This is where I learn the magnitude of the contest we are facing. Yay, everyone (most) is here! What do you mean “Mini” World Final? 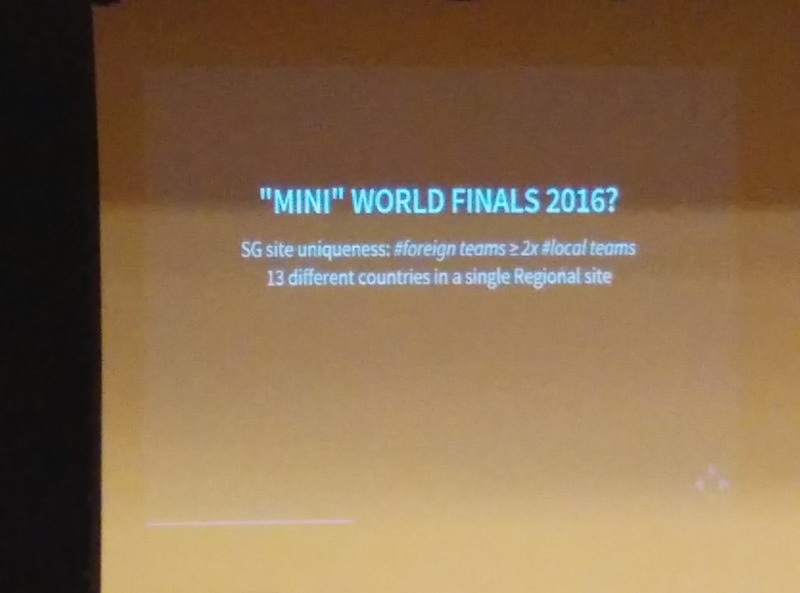 It turns out, aside from the teams that qualify on the online round, Singapore invited 10 additional teams. And these teams are really “master” level teams who participated (or have member who participated) in previous world finals. In another word, Singapore are not playing around. This regional contest is harder than normal regional contest. Anyway, lets focus on happy stuff. Like Amjad, taking selfies everywhere. 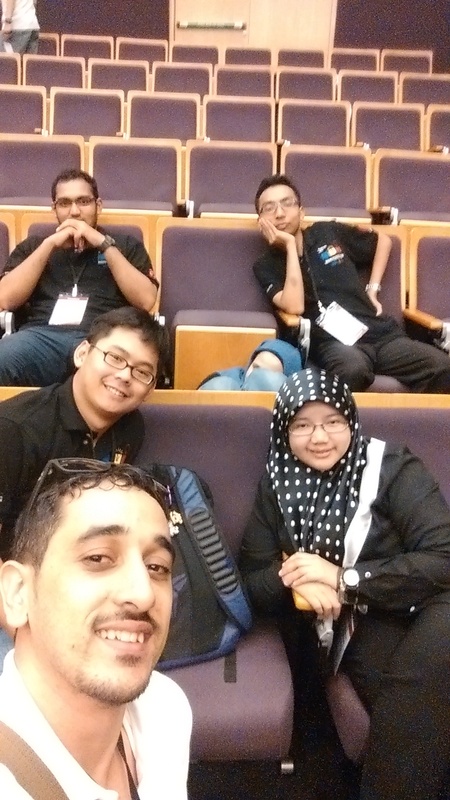 Amjad selfying with some of the Brunei members. 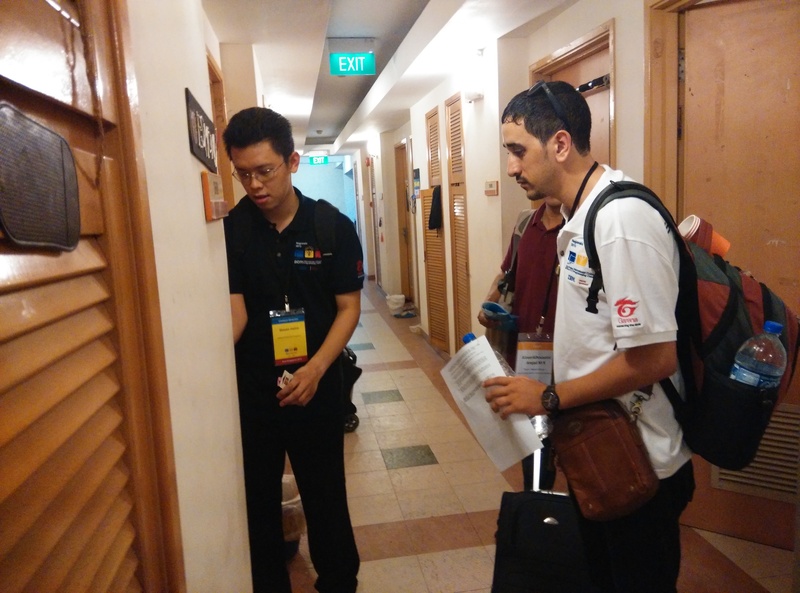 Amjad, again, with Steven Halim, the Regional Contest Director. After the ceremony, we were escorted to the contest site for a mock contest. 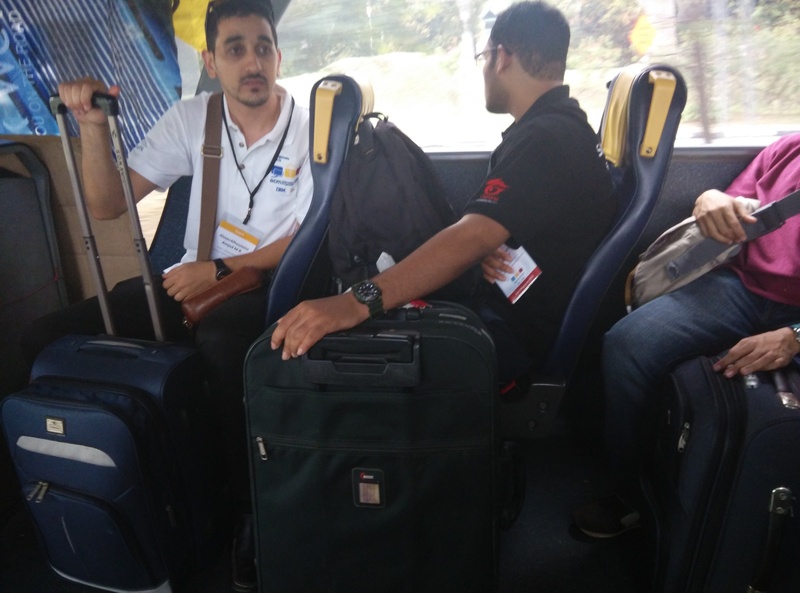 We travel there by bus as the place is quite far from Steven Riady Centre. The amount of collective mental capacity in this picture is very high. 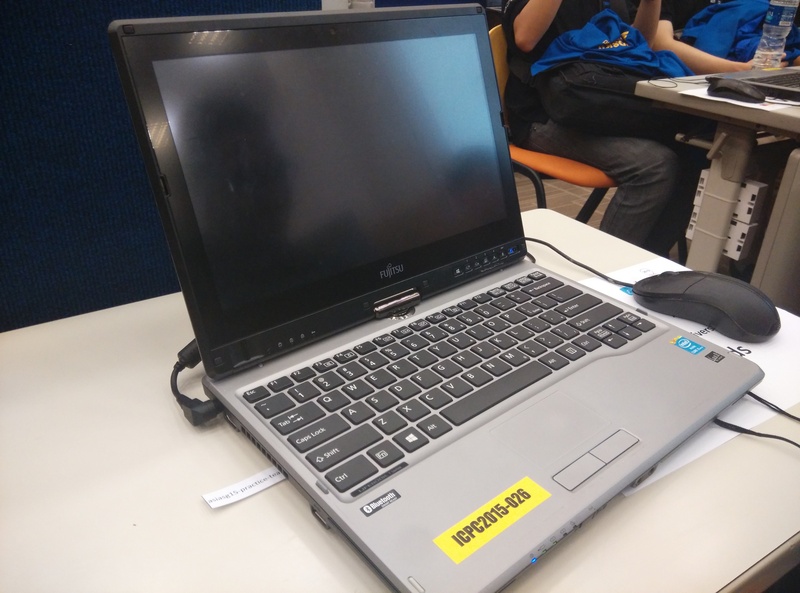 The machine that was given to us (for the contest) is a 12 inch Toshiba laptop. It has an old design, but the internal hardware is not old at all. We brought our own keyboard (courtesy of a friend) and manage to secure a monitor (which is limited in number). Don’t judge a (Note)book by its cover/design. See the “Zillions”? They got the 5th place in the competition. At the side of the hall, we have an observation deck where the coach can observe and take photos. 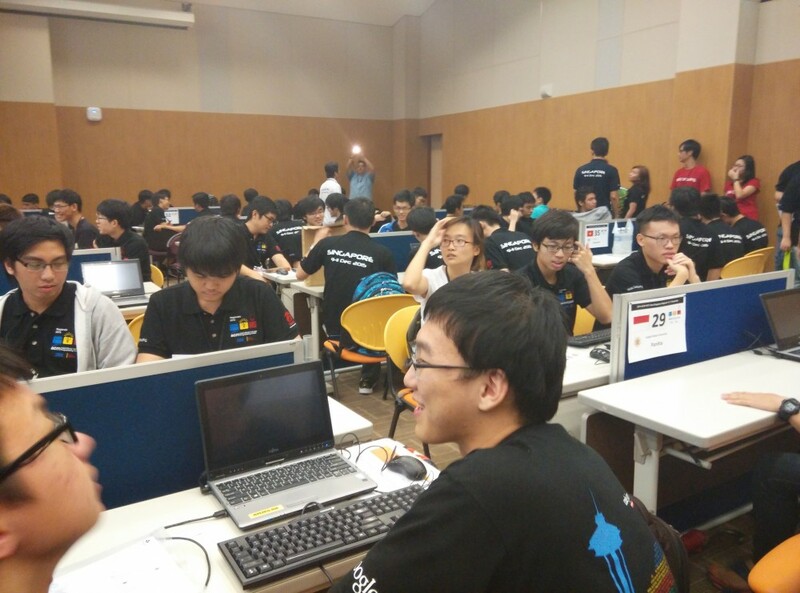 In the hall, we are surrounded by three Singaporean teams and behind us, a Shanghai team. The questions in the mock contest are basically the same question as in the qualification round. 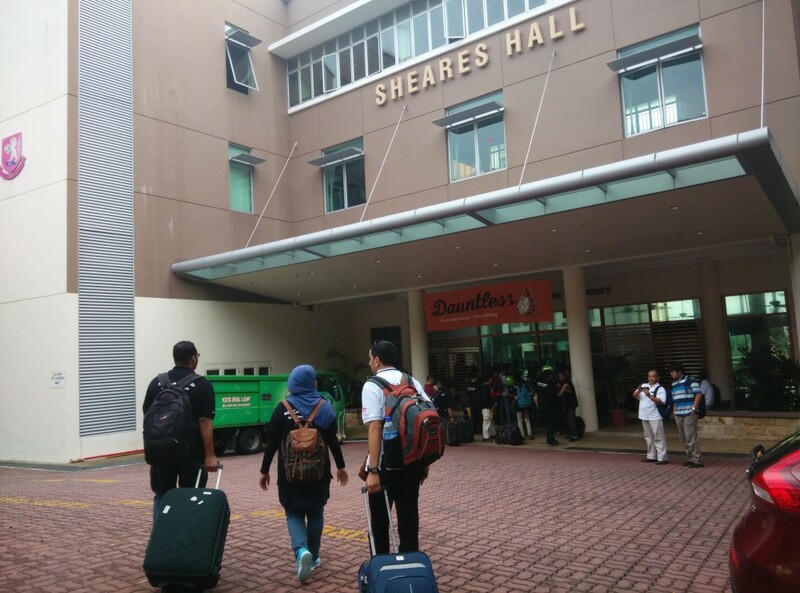 After the mock contest, we were escorted to our accommodation which is the Sheares Hall. Everyone gets their own room but the rooms have shared toilets much like the postgraduate blocks in IIUM. 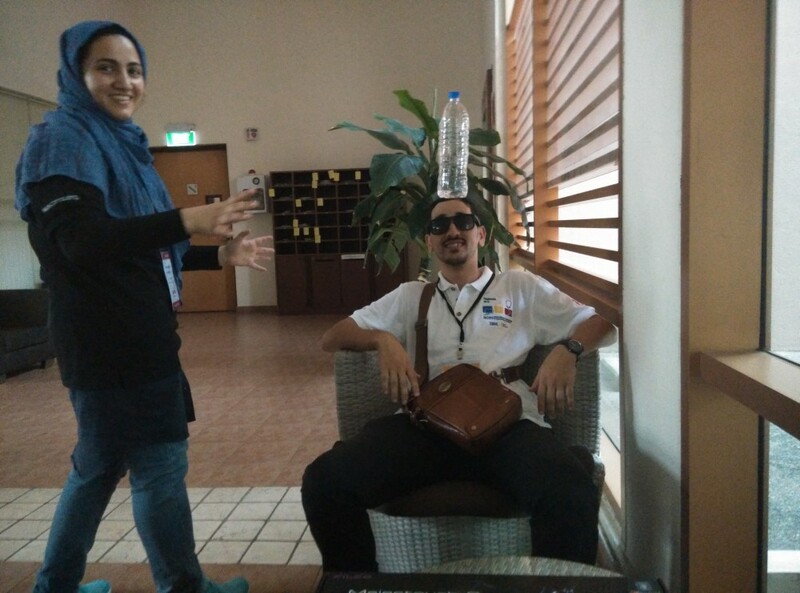 Witness, the amazing Amjad, executing a water balancing act. The RCD himself shows us our room. We actually got into a bit of trouble getting our rooms as we checked in quite late (the last one). But all is well at the end. 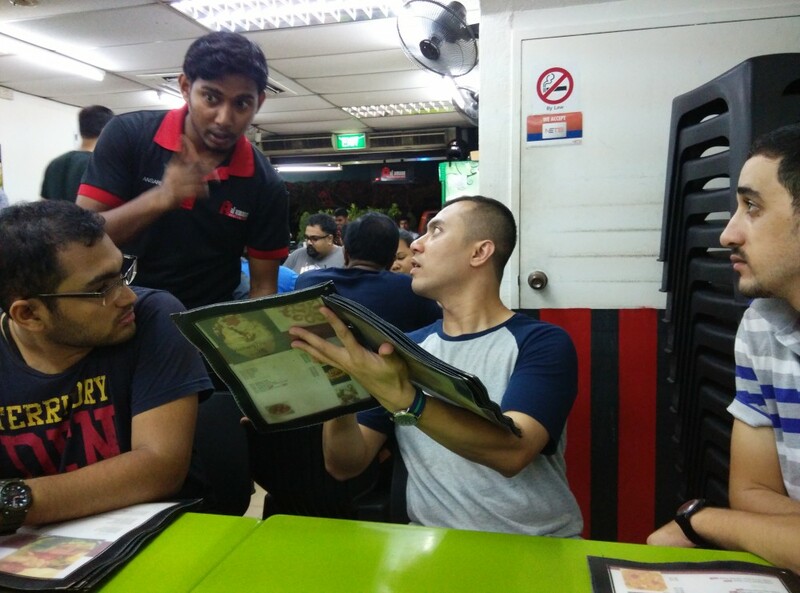 After settling in, we went for dinner. 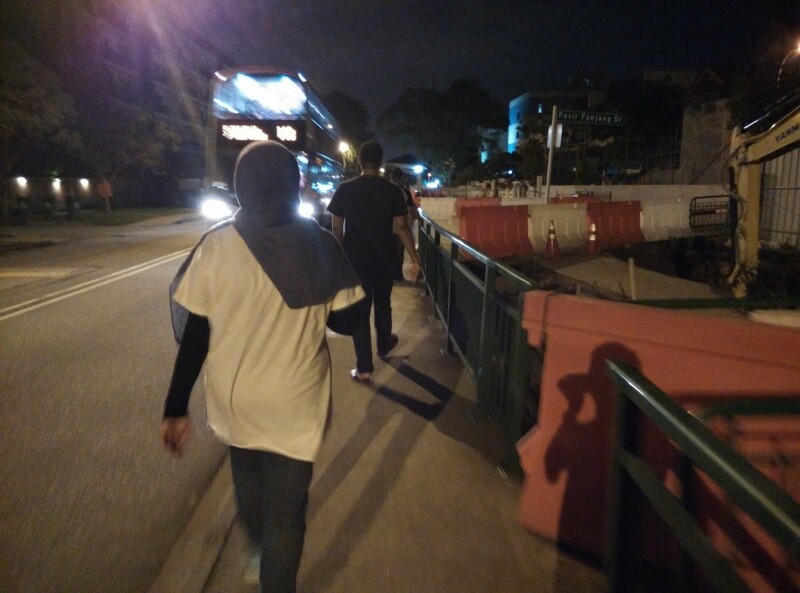 Walking… again… because we don’t know how to use the bus… at that time. And taxi are expensive. We went for dinner at a place called Al-Amaan. The price is like in Malaysia, but you use Singapore Dollar instead of Ringgit, so its effectively 3 times more expensive. 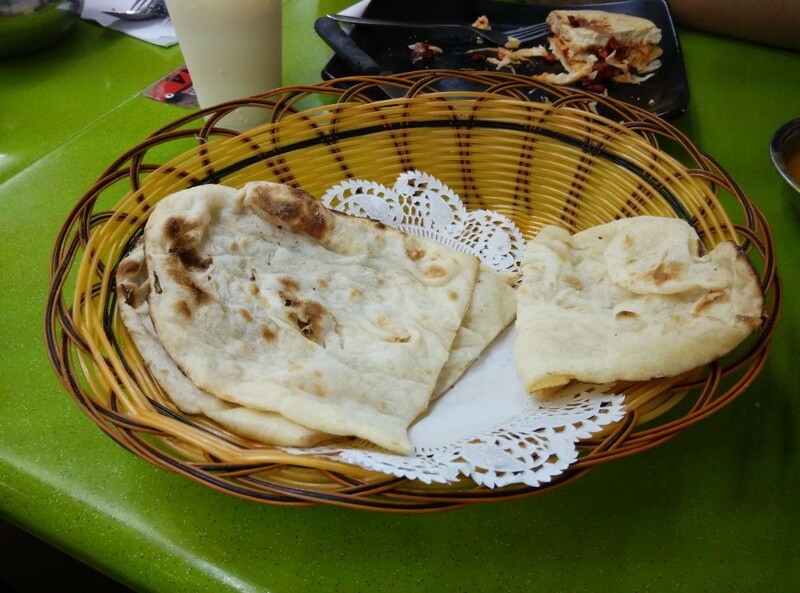 This is their Nan bread. 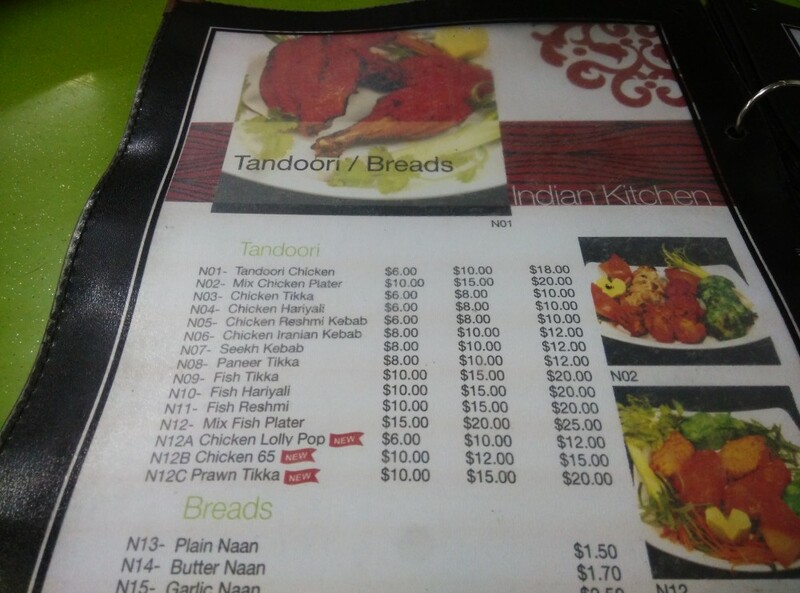 Yes, yes… its all halal in Al-Amaan. This entry was posted in Article, ICPC, Personal. Bookmark the permalink.